Do you know how to get into the feed of a reader who distrusts, or hates, your news organization? Many of us in the digital trenches of news have been engaged in a street fight for human attention for some time now. But that street fight has recently turned into something more consequential, more militarized. Indeed. The explosion of fact-check journalism was supposed to be a curative for these trends. It’s now somewhat clearer to most that facts aren’t enough to move people in an age of information saturation, distribution of news is an art that left the “front page” behind several years ago, and many people will reject uncomfortable facts when more pleasing and affirming “content” is available at the touch of a finger — in unlimited supply. Placing true stories, engineered to exist in those feeds, will be essential work in the year ahead. Journalism is hard, honorable work with a simple mission: report what is true, fairly. While this mission remains essential and unchanged, 2017 will be the year when the best practitioners of the craft will wake to see that this mission has a new mandate: Journalists will finally dig in to understand how their stories travel in our information ecosystem, and will respond with new strategies to not only cover diverse groups and ideologies, but to reach them as well. If facts fade, stories stick. Bigger narratives cling to the mind’s scaffolding in a way that isolated bits of data do not. In 2017, journalism will not only need to work harder to frame those narratives for readers, but the creators of that journalism will need to work harder at reaching all manner of people — technically, structurally and emotionally — if they hope to have a voice that matters. 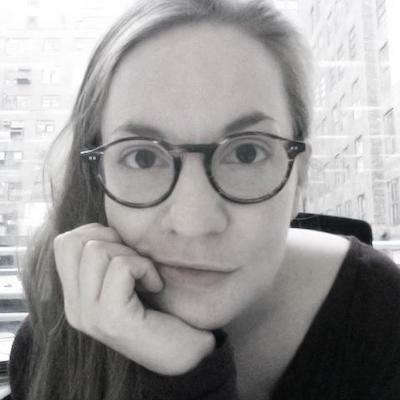 Amy O’Leary is chief story officer at Upworthy. Dec. 19, 2016, 10:18 p.m.